Recom Electrical & Equipment Services provides innovative maintenance procedures for production equipment for some of Australia's leading retailers. Recom Electrical and Equipment Services provides innovative maintenance procedures for production equipment for a large range of customers including some of Australia's leading food retailers such as Woolworth's, Coles and their subsidiary companies. 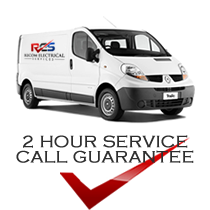 Recom Electrical and Equipment Services also provide around the clock services to several hardware chains to maintain their production equipment servicing everything from paint tinters to vertical wall saws and carpet paternoster machines. Recom Electrical and Equipment Services provide expert technical assistance for the following though our in house network of suitably trained technicians. Hardware - Paint tinters, paint shakers, table saws, vertical wall saws, extraction systems, carpet paternosters, bale presses, goods lifts. Call us now on +61 2 9881 5877 for more information on equipment servicing.